Right after Christmas in 2014, many were surprised when Pope Francis said people should take “action on moral and scientific grounds,” which wasn't surprising considering the Catholic Church isn’t generally considered to be forward-thinking when it comes to science. About two months later, even though many do not think Pope Francis has any authority to speak about global warning, a majority of people polled by Ipsos for Reuters agree with him. The new study, conducted online from Feb. 13 to Feb. 24, questioned 2,412 Americans over the age of 18 about climate change. There was a marginal error of plus or minus 2.3 percentage points. A majority of Americans believe climate change is occurring at 64 percent. Only 20 percent said global warming isn't occurring and 16 percent said they weren't sure about it. 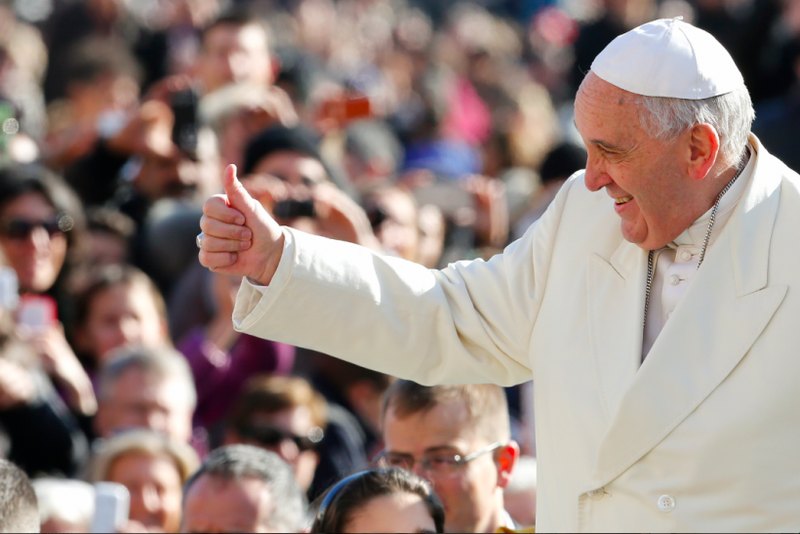 When asked how they feel about Pope Francis, 77 percent of respondents said they felt “favorable,” while 29 percent said they felt “very favorable.” But that doesn’t mean they think the pope should speak about climate change. Only 54 percent said “religious leaders” had a right to talk about the subject. When polled about Pope Francis specifically, 10 percent said he could speak with “authority” on global warming. For reference, however, 10 percent of people said Democratic leaders in Congress had the right to do so, and 9 percent said the same for Republican leaders in Congress. A majority of people -- 43 percent -- thought U.N. leaders were the most qualified to discuss the matter. As many know, Pope Francis has spoken about climate change. Going along with the three points that the Catholic leader made, there were 68 percent who thought climate change is raising temperatures worldwide, 63 percent who thought humans are to blame for the increase of carbon dioxide in the air and 56 percent who believe climate change is a moral question. After the pope spoke out, 53 percent said their views on climate change were altered and 45 percent said they believe climate change occurs.